A great technique to rev up traffic to your blog website is to create a video gallery. Video delivers content in accelerated manner through continuous stream of images and sounds which are quickly absorbed by your viewer with much less effort compared to reading texts alone. If a single picture can convey a thousand words, imagine what a stream of video can do. If you have a blog that details an instruction in a series of steps, a web video version of that instruction will be better favored by your audience than the text version because a video stream delivers your messages visually, giving a more comprehensive presentation of an idea. The content is being delivered in a pre-digested form which is easily received by your viewers compared to pure text where information is completely raw. One of the most excellent ways to create a video gallery for your blog is to have it hosted by a video sharing website like YouTube, Dailymotion, Vimeo, etc. Another way is to download a video gallery creator plug-in or extension module from any popular CMS platform, like TubePress for WordPress and Video Player and Gallery for Joomla. 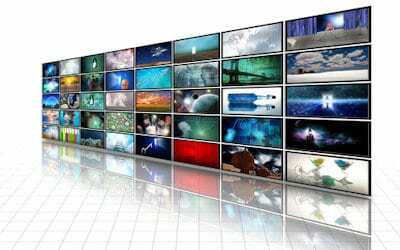 When using a video hosting site, you can take advantage of the flexible display feature. You can organize your video thumbnails and the whole presentation the way you wish. Since only a single page may be utilized for each video playback, it is often a good practice to place links to the rest of the video collection in the gallery. Each video link may have a video thumbnail representation to further enhance the look. Make sure you have all the elements needed in creating a video gallery for your blog website before you begin. 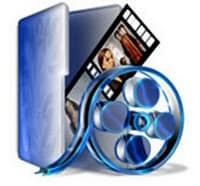 Prepare all your video collection in a file and have them converted to a format compatible or acceptable with your video hosting site. One more thing you need to have is a fast and stable internet connection. Pick your video sharing site. There are plenty of sites on the internet that offer such service. Pick the one where you can embed your video playlist to your own blog website. Once you’re registration is successful, you can now make use of the website’s video services. You can open a playlist in your account and upload all your video collection from your local hard drive to the video sharing website. Take note of the video format supported by the website and make certain that you upload only the required format. If you have a different format in your video file, you can convert it first to the supported format by using a video conversion software. 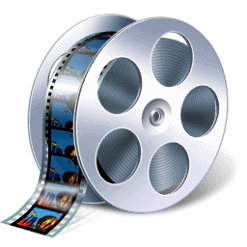 Some of the video formats are: mp4, wmv, flv, etc. Supply the appropriate title for each video file and fill a short description to explain each of the video in the gallery. Make sure to apply the right keywords for the title and description to optimize your video content for the search engine ranking. Supply the date, time, and the place of origin of the video files. Once you are done uploading your video collections to the hosting site, it’s time to copy the “embed code” from the hosting site to your own blog site. You can find the “embed code” somewhere in the video page. An “embed code” is an HTML code block of the video that you can insert into any HTML page where you want that video to appear. Copy the code to the computer clipboard. Go to your blog website where you want your gallery to show and paste the embed code to the page where you’d like your video to display. To paste the code, open the HTML document of your website and insert the embed code in the desired location. For efficiency purpose, you can design a main video index page that list all your videos in thumbnails and assign a link to the video page for each thumbnail. 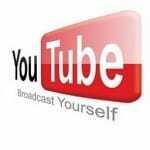 One of the best video hosting websites is YouTube. If you prefer to upload all your videos through your YouTube channel, when you plan to create a video gallery, you can benefit from YouTube’s subscription widget. This widget allows your blog visitors to subscribe to your YouTube channel within your blog website. They do not need to leave your website and go to YouTube just so they can subscribe to your YouTube channel.